An Indian restaurant is coming to the neighborhood near Nationals Park, and the family involved is known for other restaurants in the region. WASHINGTON —Southeast D.C.’s rapidly growing Capitol Riverfront neighborhood around Nationals Park will get an Indian restaurant with a local family pedigree. Rasa Indian Grill has signed a lease for a space at F1rst, a mixed-use building under construction at 1277 First St., Southeast. Rasa co-founders Rahul Vinod and Sahil Rahman are the sons of K.N. Vinod and Surfy Rahman, the owners of Cleveland Park’s Indique and Rockville’s Bombay Bistro. Rasa will open in a 2,270-square-foot space in spring of 2017, when the building’s apartments will start renting. “We are extremely grateful to call the F1rst building in Navy Yard home, and feel that it is the perfect location for us to get started,” Sahil Rahman said. 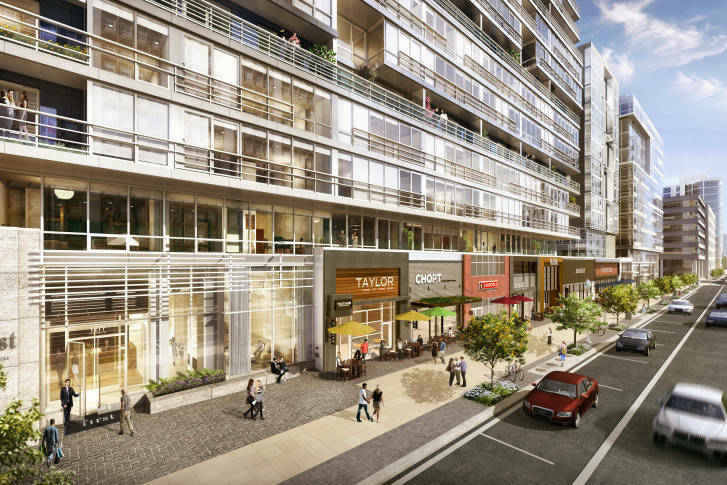 Developer Grosvenor Americas’ mixed-use development will include 325 apartments. The 450,000-square-foot building will include a rooftop pool, full-service concierge staff and a 2,300-square-foot fitness center. A unique rooftop addition will be stadium-seating views directly into Nats Park. The building is just one block to the North with a birds-eye rooftop view into the ballpark. First also includes a 170-room Residence Inn by Marriott and 24,000 square feet of retail. Taylor Gourmet, Chop’t and Chipotle Mexican Grill have signed leases, too.